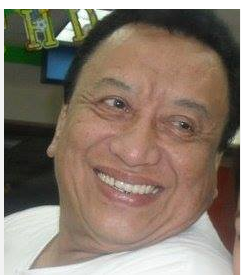 The character actor Roldan Aquino was died Monday night at the age of 65. Actor Roldan Aquino was known for his kontrabida roles, may it be in films or TV shows. Some of his popular projects are “Pepeng Agimat” (1999), “Ibabaon Kita sa Lupa” (1990), “Asiong Salonga” (2011), and “El Presidente” (2012).